Bangalore, in the past two decades, has seen a high growth of commercial spaces with the growth of industries, transforming Bangalore from being a pensioners paradise to India’s Silicon Valley and the hub of research and innovation. With the kind of infrastructure companies in the city are adopting, Bangalore was ranked 1st on the 'Best place to live and work' list by Mercer. Bengaluru was also ranked second on the Global Startup Ecosystem Growth Index by 'Compass'. When speaking of a viable infrastructure for industries, one of the fastest growing regions is Old Madras Road (OMR) in East Bangalore. 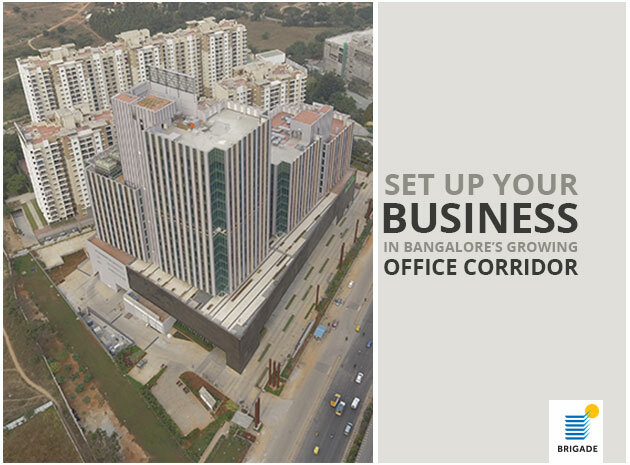 Being one of the highly active business regions in the country, East Bangalore is one of the most sought after locations to reside & work in. Ever since its inception in 2003, Old Madras Road (OMR) has been key in changing the face of the city. It was opened to improve trade and commerce between Bangalore and Chennai. The spirit continues to live in a different avatar as OMR houses many MNCs and IT parks. It has also become a coveted residential and commercial area due to the availability of great social infrastructure and the promise of Metro Rail connectivity. The Old Madras road is also, undoubtedly, one of the most important arterial roads as it connects the city to the NH4 (that links Mumbai, Pune, Bangalore, and Chennai). It will also be better connected to the rest of the city in a few years when the proposed Phase 2 of the Peripheral Ring road comes into being. 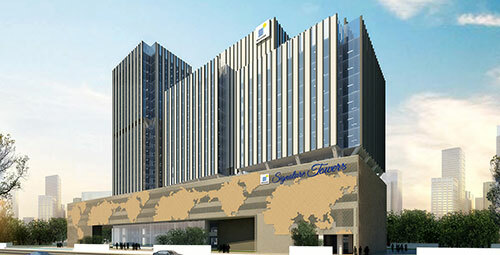 Brigade Group has established a state of the art office space - Signature Towers on the Old Madras Road. This landmark development is part of the Brigade Golden Triangle and was conceived as a mixed-use development with a residential complex, commercial space and a mall with a hotel within the development. Each aspect of the property compliments the others and gives the whole establishment a live, work and play kind of atmosphere. The property is located in close proximity to Whitefield, a major IT hub and has easy access to the airport. This being said, Old Madras Road is climbing up the wagon on being one of the best locations for businesses to set base & establish themselves.